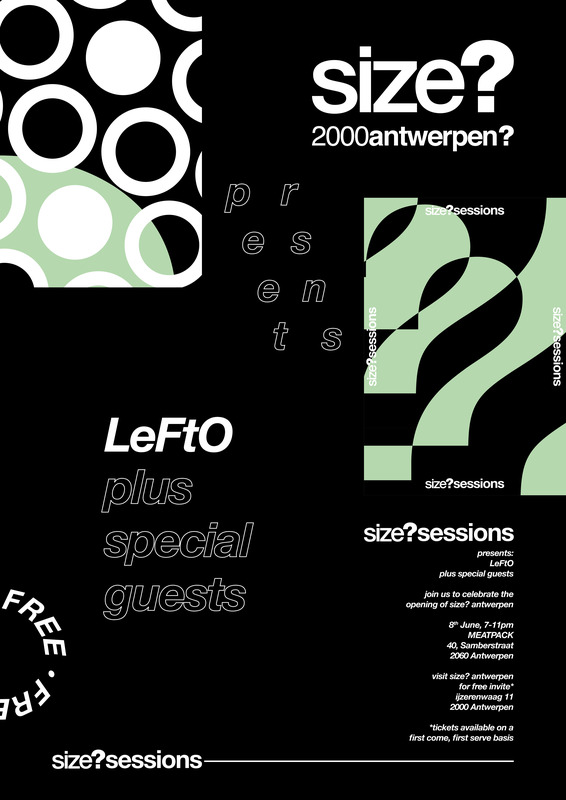 For the latest instalment of our live music series, we’re heading out to our recently opened size?Antwerp store for a night with Belgium’s revered DJ, LeftO, and a host of special guests. An esteemed DJ for over two decades, LeftO (meaning ‘early bird’) has built a reputation for being one of the most experimental tastemakers in Europe. Over his long career, the Belgium born disc jockey has earned the respect of fellow music curators including the likes of R&S’s Renaat, MTV and Gilles Peterson. The crate digger is also affiliated with well-known record labels Brownswood, Blue Note, !K7 Records, Stones Throw and top of this, LeftO has become an ambassador for alternative music in his home country where he’s a public voice on Studio Brussels (Belgium’s equivalent of the BBC). Although he’s probably best known for his hip-hop and jazz selections, LeftO’s famed sets are renowned for taking you on a meandering journey through musical genres. Seamlessly switching between future bass, jazz, hip-hop, funk, breaks, bruk riddims and even some wild African beats, the astute unpredictability of his sets are what make them so gloriously captivating. Also joining the bill are the up and coming multi-disciplinary arts collective, Nu Tribe. Describing their own music as everything from ‘funky’, ‘groovy, ‘wild’ to ‘easy’, ‘smooth soul flava’, the Liverpudlian three-member ensemble take inspiration from the likes of Erykah Badu, Jill Scott, Slum Village and D’Angelo. Lyrically gifted and vibrant onstage, this collective is worth looking out for in the future. 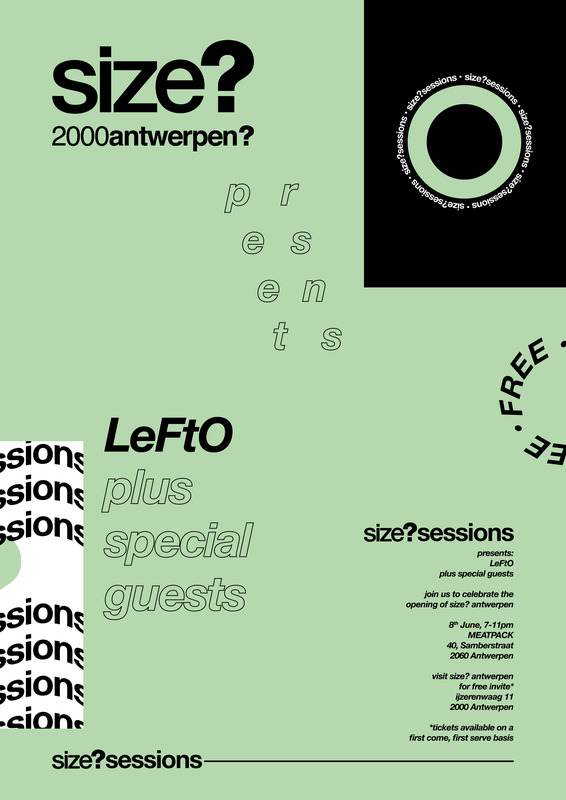 Head down to size?Antwerp to find our how you can get tickets for the event, located at MEATPACK, 40, Samberstraat, 2060 Antwerpen.